Miniaturized lawn games made entirely of metal, designed by Jordan Draper. Standard edition, complete with plastic pieces and a fabric mat. Gold Edition, complete with metal pieces, a fabric mat, and yes, real gold inside! They may look delicious, but do not eat them. Seriously. Play. No eat. Trust the adorable dragon in overalls to fix things. 1.5” of hard enamel cuteness. Who is driving? T-Rex is driving? How can that be?! 1.5” hard enamel. 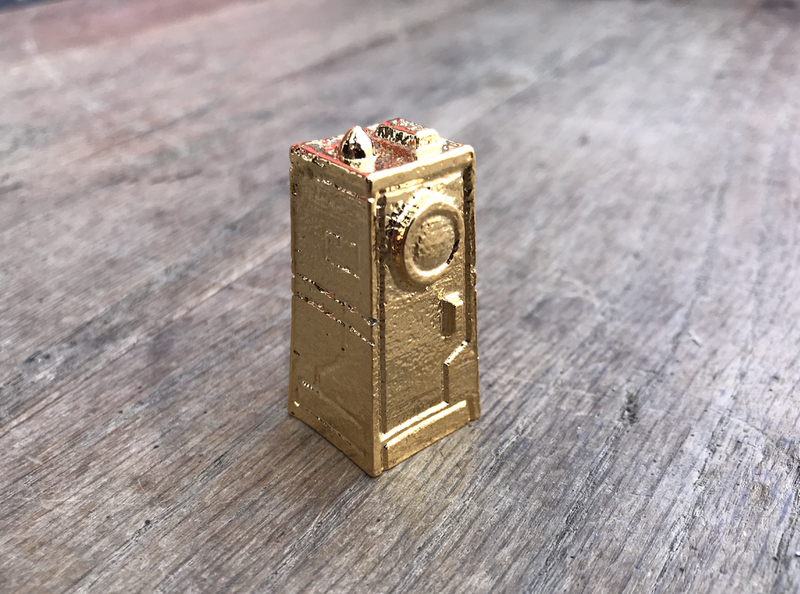 2”, finished in real gold, and used in Human Era to mark the current era. Shiny! Tiny stock left over from Kickstarter. Once they are gone, they are gone forever. From across the high seas, the Bard-barian is bringing a book and lute to the party. Humans have discovered time travel and immediately screwed everything up. This is a box to hold both the base and expansion. Yes, it is empty. Finished in real gold and used in Human Era as pilot and score trackers. Shiny! Much fiery. So Dragoon. Yes amaze. 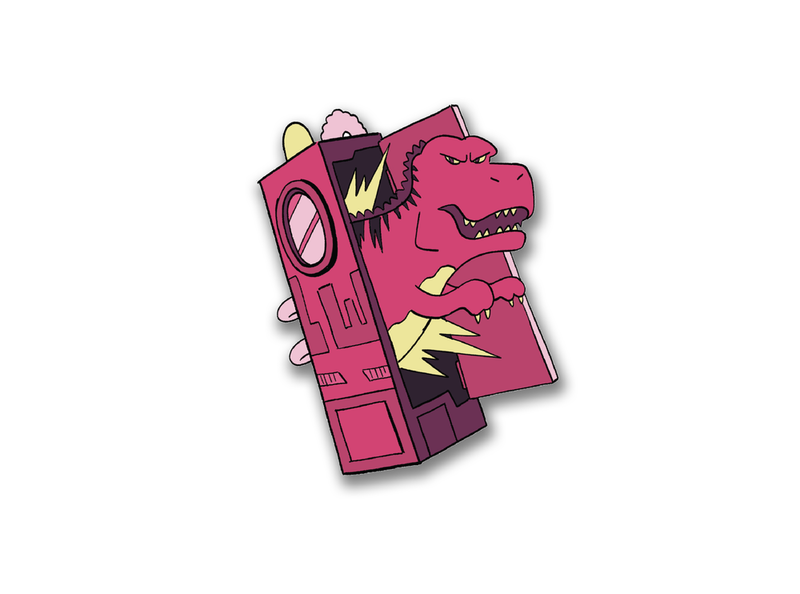 This 1.5” hard enamel pin may burn you. For a brief time, our artist forgot how to spell and this was the result. Sorry?